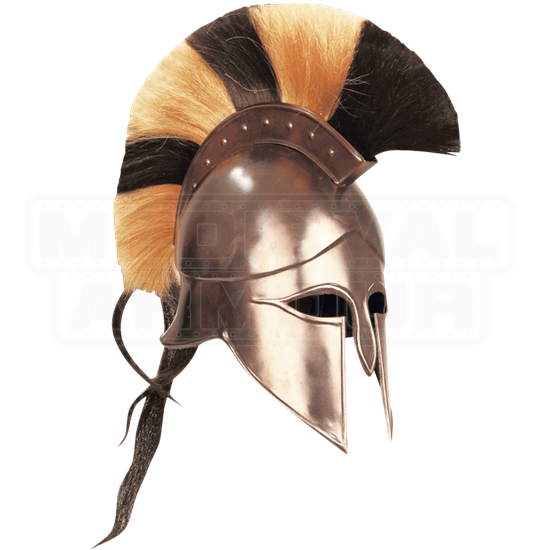 This style of helmet originated in ancient Greece and takes its name from the city state of Corinth. 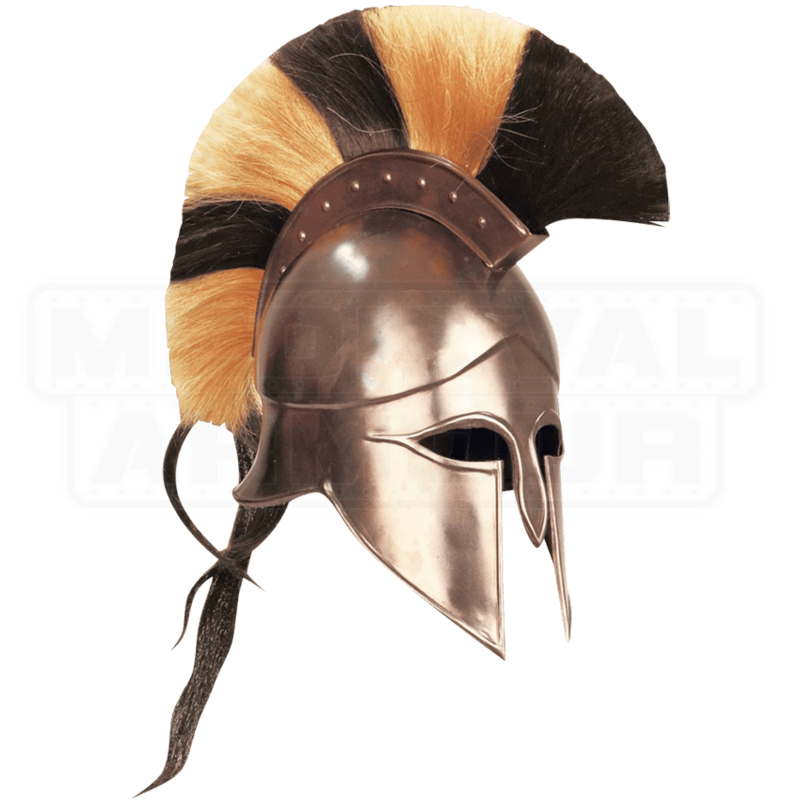 The Corinthian Helmet with cheek plates and nose guard was one of the most popular helmets during the early Classical periods. This version is made from 18 gauge steel and has been plated in an antique bronze. A black and natural striped horse hair crest makes this a truly stunning piece. Finally, a padded, soft adjustable liner and chin strap make this Corinthian Helmet easy to wear.